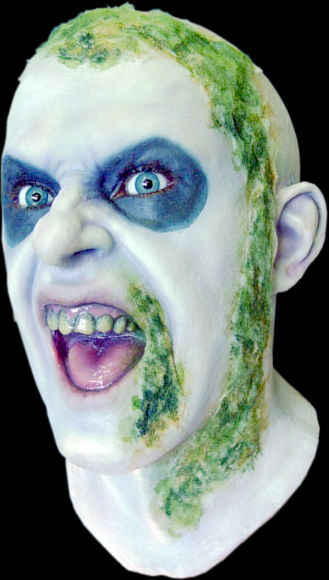 * * * ORIGINAL Foam Filled Prop Mask * * * DESCRIPTION: Glass eyes, custom paint work, inserted human hair. Head is foam filled. Pieces are available without foam filling for $50 less, but there are no allowances for wearability. You will cut your own eyes, mouth and back-of-head slit yourself. You are not so much buying a mask as you are commissioning an original work of art. This item is NOT RETURNABLE for any reason whatsoever. Orders placed today will arrive in approximately 6 months.